Dermal fillers are FDA-approved and safe for use by most patients. Many of the fillers are made from substances found naturally in the body, or synthetically made to mimic natural substances or stimulate collagen production. These fillers are injected directly into the skin of the targeted area to restore volume and reduce the appearance of fine lines and wrinkles. At Westchester Dermatology & Mohs Surgery, we offer patients several different dermal filler options in order to provide the best possible results for their individual needs. Juvéderm® Injectable Gel is a safe, effective gel that restores volume to the skin and smoothes away moderate to severe facial wrinkles and folds. The Juvéderm® gel is made of hyaluronic acid with a smooth consistency, allowing for easy injections and instant, natural-looking results. There is no pre-testing needed for this procedure. Topical or injectable anesthesia may be used during this procedure to numb the treatment area and minimize any potential discomfort. The results of this procedure are available right away and can usually last for 6 to 12 months. Restylane® is an FDA-approved dermal filler made of hyaluronic acid that restores volume to the skin, lifting and smoothing out wrinkles and other fine lines. This procedure is most commonly used to treat the nasolabial folds. It can also be used to add volume and shape the lips and other areas of the face. Since Restylane is made from a natural substance found in the body, no pre-testing is required. Restylane produces results that last 6 months or greater through its unique ability to bind with water and remain in the skin. The results of this procedure are visible right away. Restylane® Lyft is an injectable filler used to soften wrinkles and reduce the appearance of lines and folds for patients unhappy with the effects of aging on their skin. Restylane® Lyft can be used for lines around the lips, mouth, nose and forehead, and is especially effective for the nasolabial folds, which stretch from the nose to the corners of the mouth. Restylane® Lyft is made of hyaluronic acid, as is Restylane®, but contains larger gel particles that can more effectively fill deep depressions on the skin. Restylane® Lyft injections typically take 30 to 45 minutes to perform, and are administered with a topical anesthetic. Patients can return to regular activities immediately after injections, with no downtime. Results are visible right away and can last for six to nine months, depending on the individual patient's age, skin condition and various other factors. Touch-up injections once or twice a year are recommended to maintain results. Restylane® Silk is the first and only FDA-approved product specifically designed for lip enhancement and the smoothing of wrinkles around the mouth. Restylane® Silk is uniquely designed for lip definition and correction of lip lines allowing our expert injectors to create the subtle enhancement you are looking for. Restylane® Silk is made of hyaluronic acid which occurs naturally in youthful skin. Results are visible immediately and last approximately six months. Radiesse® is most effective in reducing the appearance of smile lines, nasolabial folds, marionette lines and other wrinkles around the nose and mouth. 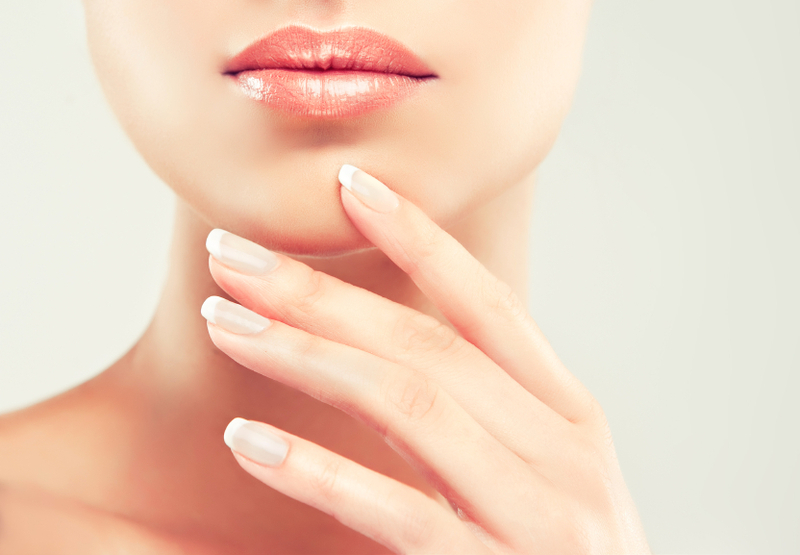 We also offer Radiesse® injections for hands. The results of this procedure are visible immediately after the injection and can last for up to a year or even longer. With continued treatment, patients will require fewer and fewer injections. The results of Sculptra will appear gradually after a series of injections, which allow for gradual and natural appearing augmentation. The results can vary from patient to patient, but often last up to two years.